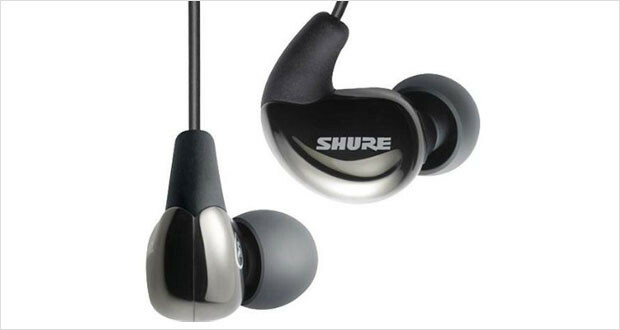 Shure is one of the premier makers of in-ear monitors used by professional musicians across the globe, and they come with a superior competency legacy of precision technology and audio engineering as prosumer headphones; a lot of their high end gear are considered to be the world’s best in ear headphones. They are the manufacturers of some of the best noise cancelling headphones as well. But are the battery-less Shure SE530 headphones also one of the best in ear headphones around the world? Considering that the SE530 comes from a branch in the established reference-headphone E-series of Shure, you can bet that the headphones are definitely something worth writing about. For their exorbitant price, however, these are one of the best in ear monitors available for the prosumer looking for extreme-performance with FLAC and ALAC files. The highs, thanks to the dedicated tweeter, are crisp, sparkly and full of life. The vocal midrange is sonorous with an enveloping soundstage to boot. But these headphones really shine in the bass department with a thumping, woofing bass thanks to the double woofer present on each earplug. These are definitely little monsters when it comes to performance. While the overall construction is excellent – as always from Shure – the earplugs are a little on the bigger side, and do stick out quite a bit from the ear. Dimensions4.5 x 4.5 x 3.2"
The wires are a little too thick and are quite heavy in comparison to other IEMs. The strain relief near the earbuds, while seemingly sufficient, might just crack or tear under heavy use. A lot of care is needed for removing these from your ears. The provided premium fit kit has quite a number of accessory sleeves that ensure a very good fit and acoustic seal to achieve the required comfortable fit. The highs are beautifully crisp and richly detailed. Impressively clear mids that allow you to discern between a good master recording and a shoddy re-recorded version very well. Tight, isolated and extremely powerful bass that will set you dancing in the streets. The acoustic seal made by the earphones are rock solid and manage to remove a lot of the background noise without any extra equipment. The performance is quite excellent with rich, detailed sound and a superior acoustic seal that delivers excellent value. Everything sounds good on the Shure SE530 headphones. Really, these look the part of fancy headphones, but unlike the overpriced competitors, just a few minutes of listening to your favorite track on these headphones will tell you just how much better these little plugs are. If you have deep pockets and are looking for the experience of full-sized open-back dynamic headphones in an IEM, these are the perfect ones for it.